I first started coming to the Milwaukee Art Museum when I was a sixth grader, attending the Wisconsin Writes [ed. note: now called the Art of Writing] conference for middle school students. This is a school program for young authors and artists hosted by the Museum, and it was the first time that I set foot in Milwaukee. The conference was an opportunity to view the permanent art pieces in the galleries, and the goal was to be inspired by an individual piece of art and reminded of a personal story to write about. These stories would then be included in a compiled publication from all the students in attendance. It was a chance to form a connection with the art, and for me was one of the most memorable parts of my middle school career. I remember sitting upstairs among the Bradley Collection, waiting to decide which piece I would choose to write about while looking out at Lake Michigan, feeling a great sense of peace. I attended the conference for two consecutive years, and since then I have visited the Museum countless times with my family and friends. Now that I am attending college in Milwaukee, I have continued to visit the Museum and am even interning here for the spring semester. Growing up with the Museum, it seems only natural that the Museum should grow and change with me. 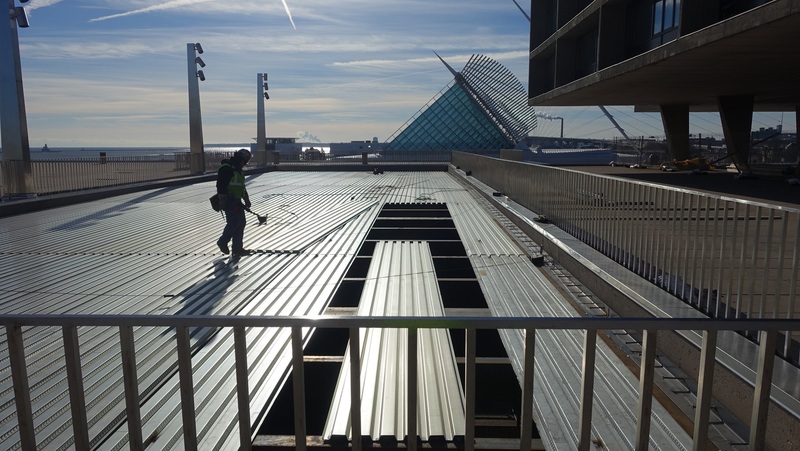 In the fall of 2014, the Milwaukee Art Museum began construction on its two oldest buildings, the Eero Saarinen-designed War Memorial Center (1957), and the David Kahler-designed addition (1975), which house the Museum’s Collection Galleries. This renovation process has been driven by the campaign “Restore. Reinstall. Reimagine,” which captures the essence of what the Museum is focused on accomplishing. Curious about the specifics of what would be taking place during this process, I met with Rachel Vanderweit, assistant to Chief Curator Brady Roberts, in order to learn more about the project. 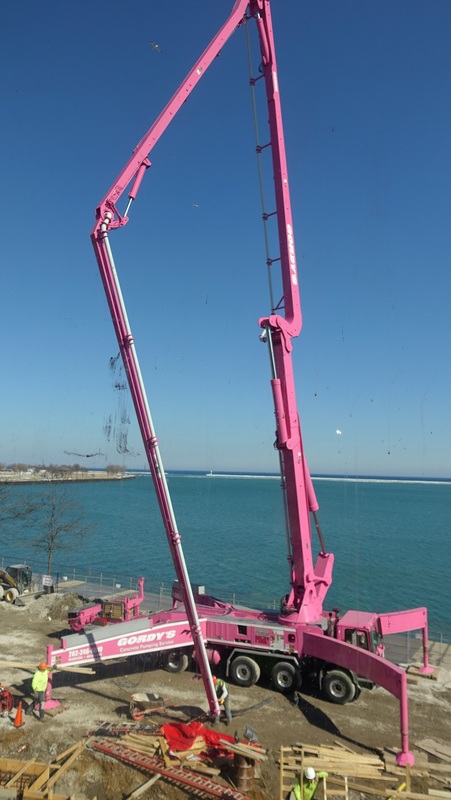 We discussed a wide variety of topics related to the reinstallation–from where the art pieces are being kept to what the Museum will look like once the renovations are finished. The artworks typically housed in this part of the Museum are currently being stored safely and securely, waiting for reinstallation to take place in fall of 2015. There are many goals for the improvement of the Museum. The vision for the gallery space is that it will become brighter and more open, allowing the art to have a grander presence within the space. 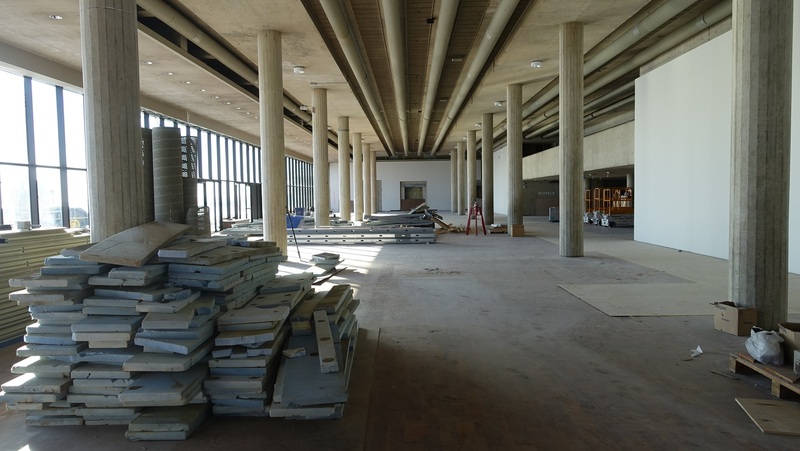 The construction team is redoing and updating all elements of the buildings, from refinishing the floors to lofting the ceilings by taking out the grids. All of these enhancements are going to improve the environment for both the art and visitors. The previous layout of the art is also being reevaluated. The goal is to create a more logical, chronological flow through the collections. On the first floor, visitors will be able to enter the galleries from both the east and west gallerias. Entering from the west galleria, visitors will encounter the Museum’s ancient collection and earlier European art collection. The entrance from the east galleria, off the lake, will allow visitors to experience the Museum’s extensive contemporary art collection. The second level will feature later European art, the American art, decorative arts, and design collections. It will additionally feature the modern and Bradley Collections. The Mezzanine level houses the Kohl’s Art Generation Lab, and will display the Museum’s collections of Haitian, folk and self-taught art. The renovation process will also add a significant amount of additional space to the Museum. What was previously the sculpture garden is now becoming a 4,500 square foot changing gallery exhibition space. In the future, this area will house traveling exhibitions and collections, in addition to the current Baker/Rowland space which houses feature exhibitions such as Inspiring Beauty: 50 Years of Ebony Fashion Fair, on view now. As I listened to Rachel talk to me about all these changes, I became excited about the future of the Museum. This place that I have loved for years is only going to improve, and I’m both enthusiastic and inspired to be present for these changes. The renovation process is scheduled to be finished in the fall of 2015, to be revealed as a restored, reinstalled, and re-imagined version of the Milwaukee Art Museum. This entry was posted in Behind the Scenes and tagged construction, marketing, museums, reinstallation. Bookmark the permalink.